Non-Surgical Face Lift Ultherapy and Liquid Facelift. Doctor Jacono used a combination of Ultherapy to tighten the face and neck, and injectable fillers to the face. He added Voluma to the cheeks and Juvederm to the nasolabial folds. As we age the face and neck droops with gravity and also deflates losing some of it youthful volume. 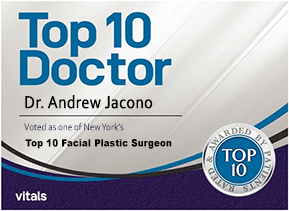 Although Doctor Jacono is a surgeon he understands that not all patients want surgery but still want to look rejuvenated and have skin tightening and rejuvenation of their face and neck. There are non-surgical face lift options that have no downtime and can erase 5 years or more off your appearance. These treatments are popular with patients in their forties and early fifties before they are ready for a facelift surgery. Sometimes these will be combined with other modalities to target fat of the neck which tends to thicken with age often referred to as a ‘turkey neck”. In addition to employing non-surgical facelift and neck tightening, he will also combine it with volume replacement with FDA approved injectable fillers such as Voluma, Restylane Lyft, or Sculptra for complete rejuvenation. The most state-of-the-art devices for facial tightening impart heat energy into the skin and deeper layers of the face. 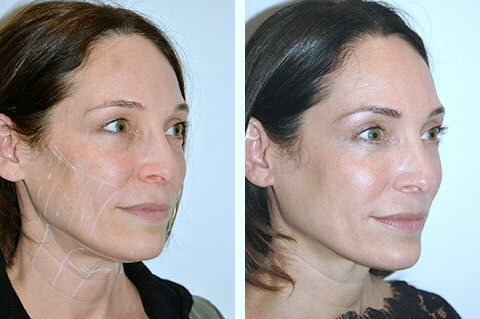 All nonsurgical devices that tighten the lower third of the face, jawline, and neck work using the same principal. They deliver thermal (heat) energy to the layers of the face and neck. These layers include the skin, muscle, and fat, causing them to contract and tighten. This thermal energy also stimulates collagen production in the deep layers of the skin (the dermis). However, this energy leaves the skin’s surface (the epidermis) relatively untouched. The best analogy to help describe this is when we throw a pair of pants in the dryer. The heat makes the fabric shrink so they fit more snugly. Similarly, the heat energy delivered by these devices will make our loosening face and neck tissues tighten along the jawline. The most effective energies for this purpose are ultrasound and radiofrequency (RF). The best non-surgical facelift device using ultrasound is Ultherapy. There are many device options for RF treatments. The most effective RF devices deliver energy internally using a small probe placed under the skin. Another form of energy used to tighten the neck skin is ultrasound. Ulthera is the first and only ultrasound energy-based device cleared by the FDA with a non-invasive “lift” indication for the neck, face, and eyebrows. Ultrasound is sound at frequencies higher than those detected by human hearing. These sounds register at least 18 kilohertz or 18,000 cycles per second. Ultherapy addresses the deep skin layers as well as the foundational layer that lends support to the skin. This foundational layer in the face is called the SMAS, and in the neck, the platysma. Ultrasound allows Dr Jacono to bypass the upper layers of the skin. This delivers the right amount of energy at the right depths. Skin contracts and then ultimately lift the SMAS and platysma. As a result, there is no damage on the surface of the skin and thus no healing downtime. This is the main advantage of Ultherapy over internal RF. You do not have to put the probe under the skin to treat the fat and muscle layer. This treatment takes approximately one hour. Non-Surgical Face and Neck Lift with Ultherapy: This woman in her forties started to experience laxity along her jawline and neck that was improved with one session of Ultherapy. The full effect of Ultherapy will build gradually over the course of two to three months. After the first month, you may experience slight lifting and toning, a tighter, firmer feel, and a smoother texture. Over the next two to three months, you may experience tighter skin with reduced sagging, a sleeker jawline, and improved contour under the chin. Non-Surgical Face and Neck Lift with Ultherapy: This woman in her sixties did not want a facelift surgery but hated her “turkey neck”. She shows a nice improvement after one Ultherapy session. Ultherapy works best on patients with thin skin like this. Ultherapy works best for those who are beginning to show signs of skin laxity and jowls. Especially around the jawline. How well it works depends on different factors. How lax your skin already is. Your skin’s volume or fat distribution. 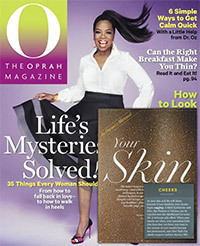 Your skin’s texture (extent of lines, wrinkles, crêpiness, and/or sun damage). Your lifestyle and health (i.e., smoking habits, nature of health issues). Improvements range from a 10 to 20 percent tightening. Patients with thin skin, a defined jawline, strong cheek and chin structure, and less facial fat tend to have the best results. Patients with a rounded or heavy face, thick skin, and weak skeletal structure show less improvement. Internally delivered RF is another treatment Dr Jacono offers that is more effective than Ultherapy. Although not technically surgery with incisions and sutures, it is a minimally invasive procedure. His preference for Internal RF is the ThermiTight device. This utilizes a small electrode inserted under the skin to heat tissue to a clinician-selected therapeutic temperature. After a small volume of anesthetic solution is injected into the area to be treated, the tiny ThermiTight SmartTip® thermistor probe is inserted under the skin. Thermitight Non-Surgical Facelift: This woman in her sixties did not want a facelift surgery but hated her jowls and hanging neck. She shows a nice improvement after one Thermitight session. Dr Jacono applies gentle movements to heat up the tissues to the desired level. Skin safety is monitored. Most procedures last less than one hour. Because the thermal energy is delivered with the probe under the skin within the subcutaneous (under the skin) fat layer, it melts away excess fat in all areas of your lower face, jawline, and neck. The probe also glides over the surface of the muscles, thermally tightening them as well. This is why it can be much more effective than the older generation of RF devices. Devices whose probes simply sit on the surface of the skin. It is not surgery, but a minimally invasive procedure and some mild bruising that occurs. Thermitight Non-Surgical Facelift: This woman in her sixties did not want a facelift surgery but hated her “turkey neck with extra fat deposits under her chin. She shows a nice improvement after one Thermitight session. The longest lasting volume replacement to the face is achieved using fat transfers. 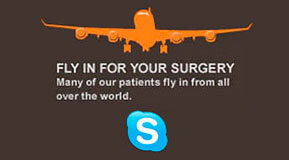 There are many injectable treatments however that do not require harvesting fat and a minor surgical procedure. 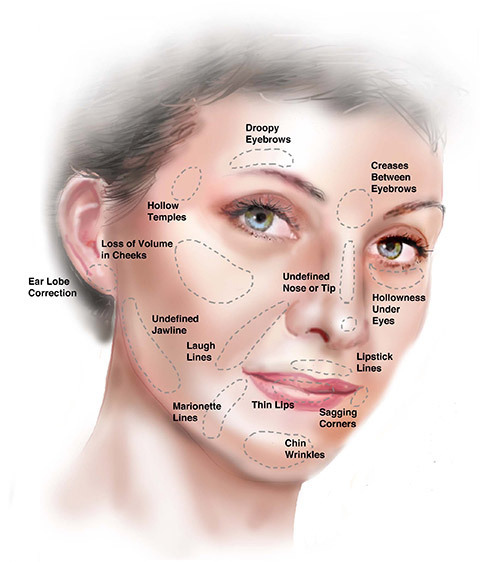 To deliver the best results in Non-Surgical Facelifting Dr Jacono combines several procedures. Ulthera or Thermitight with facial volumization utilizing the injectable fillers Voluma, Restylane Lyft or Sculptra. The synergistic effects of both treatments are amazing. Sculptra helps to add the volume back to the face that has deflated with age. An older face will show a loss of the fullness of the cheeks, temples, and areas around the mouth. It will also show fat loss under the eyes which creates a hollow effect. Shadows now appear. 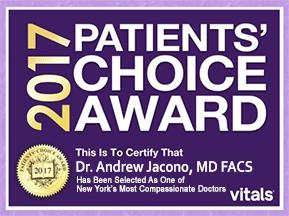 Dr. Jacono reverses the creation of shadows by replacing the volume lost. This restores the reflection of light and the appearance of youth, energy and vibrance. This volume replacement fills the skin so that it is lifted by the formation of your body’s own collagen. Collagen that was created in surrounding the microscopic particles that make up Sculptra. Sculptra is made of poly L lactic acid (PLLA). A synthetic biodegradable polymer that is both resorbable and bio compatible. PLLA has been widely used for many years in dissolvable sutures so it’s compatibility with the body is proven. Sculptra is not a wrinkle filler, but a bio activator or “volumizer”. It works by stimulating the body to produce new collagen at the sites of injection. Thus, replacing lost volume and contours to restore a fuller, more youthful appearance. Each treatment consists of a few injections to the areas to be volumized, the cheek, temple, jawline. Usually 2 or 3 treatment sessions are required to get the desired effect. The product is administered with local anesthesia and the discomfort is minimal. As with all other injections there can be temporary swelling and bruising. Otherwise, there is no ‘downtime’. The lasting effects of Sculptra™ vary from patient to patient. Studies have shown that some Sculptra™ patients have seen results last up to or greater than two years from the first treatment. Periodic touch up treatments will maintain the desired effects. There are currently two available methods of non-surgically reducing neck fat: injections with Kybella and CoolSculpting. Kybella consists of bile acids that literally digest the fat under your neck. It was created to treat excessive fullness and localized fatty tissue underneath the chin. The regimen requires a few monthly treatments. Kybella works best on patients whose skin still has some elasticity. The skin can snap back once the fat is removed. The results are also permanent, as once the fat cells break down, they can’t ever re-form. If your neck skin is too loose, dissolving the fat away can cause the skin to hang. Think about the hanging, excessive belly skin left after massive weight loss. If you have a lot of redundant skin under your chin, without good elasticity, Kybella can make it hang even more. CoolSculpting has been used in more than two million neck and body treatments worldwide to date. CoolSculpting works by a process called cryolipolysis. A process that freezes fat cells causing them to die. It’s like frostbite for fat. To achieve a 20 percent reduction in under-chin fat, a patient must have one or two sixty-minute sessions. During the session, the neck fat is clamped into the CoolMini probe of the machine. The treatment area gets cold quickly. This numbs the area and makes the pain during treatment minimal.